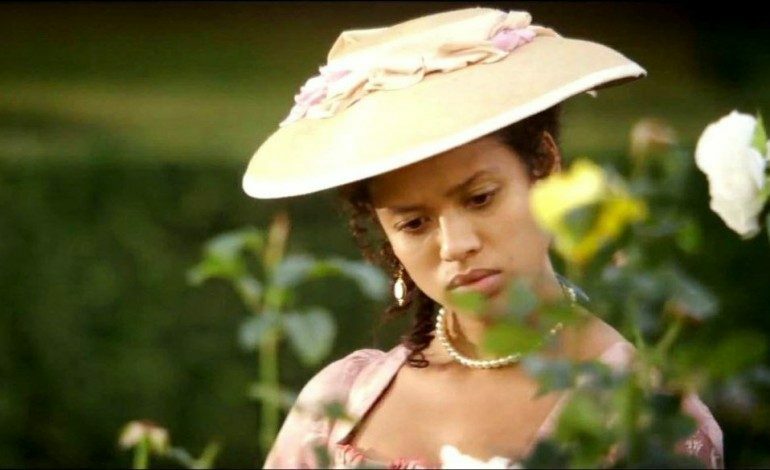 Beyond the Lights star Gugu Mbatha-Raw is one of four international actresses currently in contention for the female lead in the Robin Hood: Origins story being produced through Leonardo DiCaprio‘s Appian Way, according to Deadline. Kingsman: The Secret Service actor Taron Egerton is already on board to portray the titular hero with Otto Bathurst (TV’s Peaky Blinders) directing based on a script by Joby Harold (Knights of the Round Table: King Arthur). The character of Robin Hood has been portrayed several times throughout cinematic history, often focusing on the “merry” aspects of him and his band of Merry Men. This film, on the other hand, is being described as a “gritty revisionist take on the legend” with a similar tone to The Dark Knight. The Robin Hood that steals from the rich and gives to the poor will be returning from the Crusades to find Sherwood Forest overrun by corruption. He will then take it upon himself to assemble a band of outlaws to right these wrongs and restore civility and gentility. Other actresses in the running for the lead female role are Eve Hewson (TV’s The Knick), Dutch actress Gaite Jansen, and Lucy Fry (Vampire Academy). Mbatha-Raw is the most established actress of the bunch, likely giving her somewhat of a step up on the competition. The past three years saw her starring in Belle, Beyond the Lights, and Jupiter Ascending. She will next be appearing in The Whole Truth with Keanu Reeves, Concussion with Will Smith, and The Free State of Jones with Matthew McConaughey.